On February 14, 2019, the State Intellectual Property Office of China (SIPO) - the parent organization of the Trademark Office (TMO) – published draft regulations that would empower the TMO to take more aggressive action against “abnormal” trademarks – i.e., those filed either with intent to pirate another brand and trademark warehousers that file without bona fide intent to use. The so-called “Provisions on Standardizing Applications for Registration of Trademarks” (“Provisions”) were foreshadowed in late 2017 by TMO officials who were quoted in media reports as planning a range of measures to address bad faith registrations, including through new requirements on applicants to prove use of marks, the establishment of a blacklisting system and plans to discipline trademark agents that knowingly assist pirates. It also follows on the heels of reports from the TMO of its having recently rejected over 100,000 applications by blatant trademark warehousers. A deadline of March 16, 2019, has been fixed for the submission of comments on the Provisions, and Chinese and foreign industry associations are now planning to submit recommendations for clarifying key provisions in the draft. Article 4 of the Provisions would grant the TMO the following core powers in dealing with bad faith registrations. Under current law and practice, the TMO will not require applicants to provide evidence of use or intent to use trademarks. But Article 4.1 would change this for parties deemed to have filed “abnormal” applications by stating the TMO may require applicants to provide “explanations” as well as “evidence” as part of the application process. The power to compel the provision of “explanations” – but not “evidence” – is already provided to the TMO under Article 29 of the PRC Trademark Law. Article 4.1 of the Provisions then specifies that applications for abnormal applications may be rejected in accordance with Article 30 of the Trademark Law, which grants the TMO the power to reject applications which do not comply with other provisions of the law, and Article 35, which allows the TMO to reject applications following successful oppositions. Presumably, the drafters of the Provisions have concluded that the law grants the TMO the power to compel applicants to present evidence of use or intent to use marks, and not just explanations. In this regard, it would be preferable to specify the types of evidence that may be required in greater detail. Presumably, the TMO will only require applicants to provide “evidence and explanations” if there is reason to believe they filed in bad faith. It remains unclear whether the TMO will establish a formal process in this regard – such as the “blacklist” suggested earlier by TMO officials (see below) – or if examiners are free to use their own judgement in making requests. Article 29 of the Trademark Law indicates that the failure to respond to a request for “explanations” will not in general be deemed abandonment of an application. But query whether the Provisions would benefit from insertion of language suggesting that the lack of a response would be sufficient to justify rejection of an application. Article 4.1 of the Provisions leaves unclear whether TMO examiners will have the discretion to require “evidence and explanations” in the context of oppositions. This could well be implied by the reference therein to Article 35 of the Trademark Law, which relates to oppositions. But greater clarity in this regard would be useful. Article 4.2 states that the TMO may invalidate “abnormal” trademark registrations based on its existing powers under Article 44 of the Trademark Law. Article 44 generally allows the invalidation of any registration within five years of its registration where it is deemed to have been filed “improperly”. In recent decisions, the TMO, TRAB and Chinese appeal courts have relied on this provision to invalidate or reject applications by parties deemed to have filed without bona fide intent to use, particularly large-scale warehousers and serial pirates. As such, Article 4.2 suggests an intention by the TMO to begin using Article 44 invalidations more aggressively to eliminate existing registrations, and not just pending applications. Article 4.3 of the Provisions would allow the TMO to reject applications for assignment of “abnormal” registrations, and on the grounds that their transfer would create “adverse effects” under Article 42 of the Trademark Law. This provision should be helpful in address the phenomenon of pirates that seek to reduce their exposure to invalidation or rejection of applications by transferring rights to another “cleaner” shell company. It may also create a significant disincentive to trade in pirated marks by effectively outlawing assignments between pirate buyers and sellers. Article 4.4 of the Provisions sends a signal to trademark agencies that assist with abnormal trademark applications that their support for pirate schemes may result in sanctions already set out under Article 68 of the Trademark Law. It also mentions that the imposition of such sanctions will be recorded in the agent’s “credit file” (see below), and suggests that an agent’s business license may be cancelled where “the circumstances are serious”. Article 5.4 of the Provisions further specifies that, before penalties are imposed, SIPO will conduct a “rectification interview” with the legal representative of the trademark agency – thereby suggesting the agency will be given a warning and chance to ways before severe sanctions are imposed. The draft Provisions do not include a formal “intake” procedure for evaluating whether applications and registrations by a particular bad faith filer are “abnormal”. But there is little doubt that the TMO and TRAB have more than enough targets to start with based upon their current and recent cases. The bigger question is how victims of trademark piracy can persuade the TMO to evaluate their particular cases for processing under the Provisions. In ideal circumstances, a victim brand facing a pirate with multiple applications and/or registrations would be able to file a single report to the TMO and thereafter sit back and watch as the TMO rejects and invalidates pirate marks and without the need to incur the cost of filing multiple oppositions and invalidations. In cases where the same pirate has clearly violated the rights of multiple brand owners, the benefits would be multiplied even further. In other countries, petitions along these lines might be filed by brand owners through the “interference” process. China Trademark Law does not formally offer such a procedure. However, Article 7 of the draft Provisions appears to address this gap by states that “any organization or individual” may report to SIPO regarding any “abnormal application”, after which the report must be handled in a “timely manner and in accordance with law”. This language therefore suggests a clear intention to allow victims of trademark piracy to file petitions – whether individually or collectively through industry associations – to formally seek recognition of a particular pirate as an “abnormal” filer. As such, this new right for victim brands could well prove a game-changer, as it would provide a defined tool for persuading the TMO to consider individual cases and, eventually, apply the measures noted above to violators. It remains unclear what rights – if any - IP owners and their associations will enjoy under Article 7. Ideally, they will have the right to receive formal feedback on the results of petitions and will be notified of determinations within a reasonable time period. It likewise remains unclear whether it is contemplated that the TMO will reach out to petitioners for additional information and evidence, and whether alleged pirates will have the right to review the same as part of any future appeal process. Article 3 of the draft Provisions sets out eight clauses under which marks can be deemed “abnormal” and therefore subject to the actions set out in Article 4 which are detailed above. Overall, these clauses target bad faith filers and warehousers, and with language that is in some ways overlapping in some ways. The following summarizes the key clauses. “assisting others or acting as a trademark agent” in the aforementioned situations. While generally quite comprehensive, the above provisions leave ambiguous whether the TMO will in practice be willing to designate as “abnormal” applications by parties that file bad faith applications in relatively small numbers. Indeed, a very large proportion of cases involving bad faith registration in China involves just such circumstances. The growth of “small-scale” piracy cases seems in part due to the understanding among the pirate community that the TMO and TRAB have adopted numerical standards for categorizing pirates – thus helping them to reduce risk by simply staying under relevant thresholds. Indeed, any clearly-defined criteria that are included in the Provisions could lead to a similar result, and in this regard, ambiguity may well be the preferred solution. However, the TMO will hopefully adopt internal guidelines that will ensure priority is given to cases based not only on the quantity of marks pirated but the quality as well, i.e., the net impact on both the victim brands and the public. The TMO disclosed in 2017 plans to establish an informal “blacklist” for bad faith filers, and while there is no direct reference to a blacklist per se in the Provisions, Article 5 thereof states that SIPO may publish information on abnormal filers on its website. 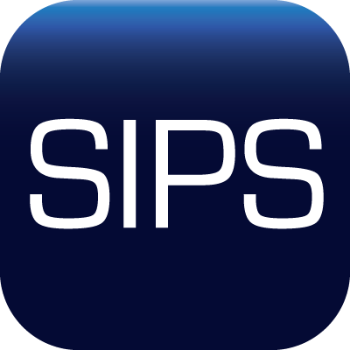 More importantly, SIPO is empowered to enter the names of abnormal filers into the “national credit information sharing platform”, after which other government authorities may impose relevant “disciplinary measures”. The controversial “social credit system” is currently being piloted in various regions of China and it is intended for introduction to the entire country some time in 2021. The most palpable evidence of its impact has been in the context of payments of civil damage awards, as in many cities the legal representatives (CEOs) of companies that fail to pay such awards now predictably results in bans on travel by air and high-speed train, among other things. Meanwhile, In January 2019, SIPO published a document indicating that repeat infringers of patents may be subject to penalties under the social credit system, above and beyond any civil or administrative sanctions that may be imposed in the normal course of adjudication. It remains to be seen just how the social credit system might be applied to “abnormal” trademark filers. But Article 5 may well prove to be the most impactful clause in the Provisions – and the one that makes it easiest for victims of trademark piracy to leverage settlements more quickly and at a more reasonable price. Industry associations have previously recommended that Chinese authorities and courts consider ways of both imposing higher financial burdens on bad faith pirates as well as compensating the direct harm caused to victim brand owners. It has been recommended that Chinese courts regard bad faith filings as a form of unfair competition, and the legal and investigation costs incurred by victims in pursuing oppositions and invalidations be compensable. And in this regard, query whether the Provisions could be amended to briefly recognize bad faith registration as a form of unfair competition. To date, there has been only one reported civil decision testing the availability of such remedies under the current law. In mid-2018, a courts in Hangzhou granted a significant civil damages award to Bayer in an action against a bad faith pirate who had obtained two trademark registrations that clearly infringed upon copyright, and then used these registrations to support take-downs of ads for genuine goods on Alibaba platforms. In its decision, the court recognized that the pirate’s filing of trademark applications in bad faith constituted a form of unfair competition. Questions have been raised by senior Chinese legal authorities in the past as to whether the mere filing of a trademark application – even in bad faith – represents a ‘civil act’. If not, it is argued that it is not possible to pursue an unfair competition claim for harm which results from such an application. But hopefully, SIPO and other senior legal authorities in China can be persuaded to consider the issue more deeply now based on the Bayer decision.